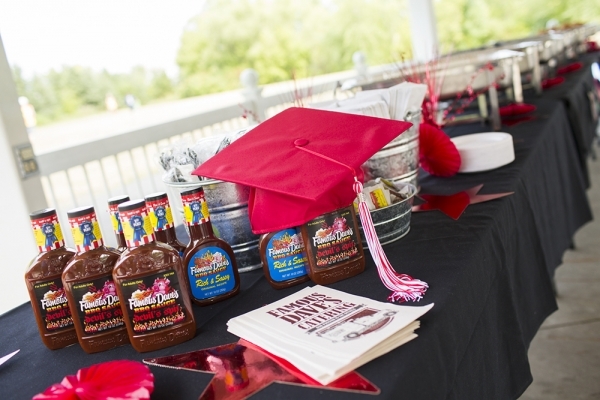 Celebrate Your Child with BBQ Graduation Party Catering from Famous Dave’s DMV! A graduation is much more than a celebration of your son or daughter’s successes, it’s also a first step into their future! 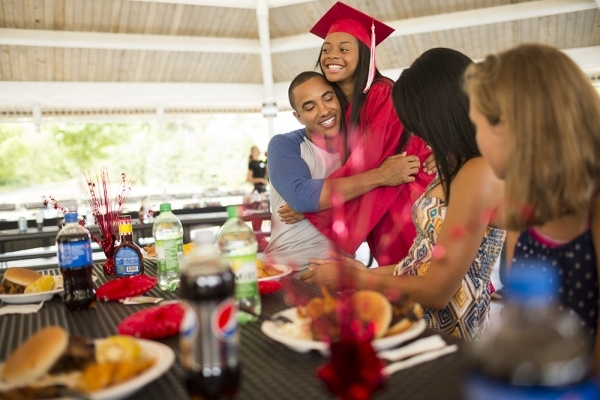 No matter if your graduate is celebrating their graduation from high school, college, graduate school, or a trade school, holding a party is necessary! 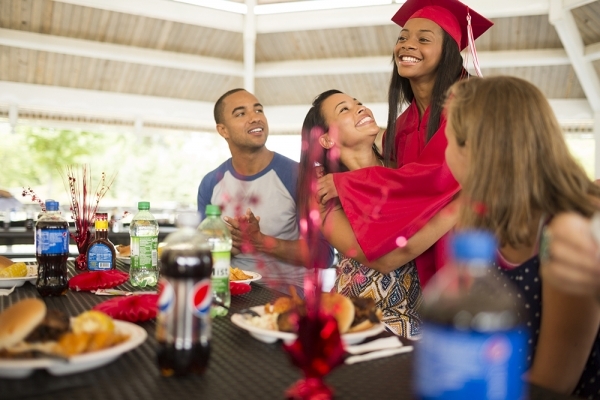 After setting the date of your grad’s party, the food should be your next thought! 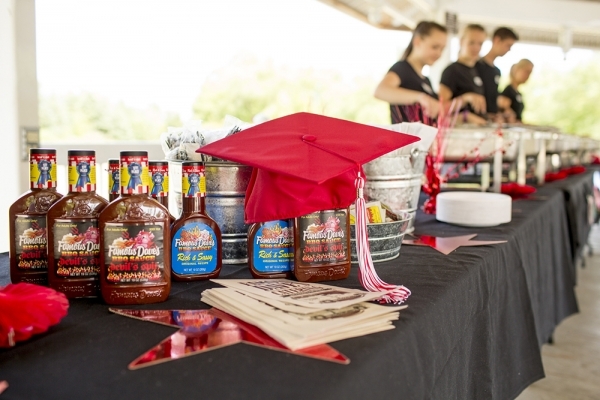 With awesome BBQ and great experience catering grad parties of all sizes, Famous Dave’s DMV is the answer to your catering needs! With a little help from us, your child’s grad party will go off without a hitch and your guests will be raving about their meals! Award-Winning Barbecue and Amazing Catering Service for Your Graduate’s Party! Years of Experience – Famous Dave’s has extensive experience cooking, catering, and serving high school graduation parties, college graduation parties, and numerous other educational milestones. Whether your child is graduating high school or grad school, we can make your party into an event to remember. Indoor/Outdoor Catering – Our catering isn’t limited to the indoors! 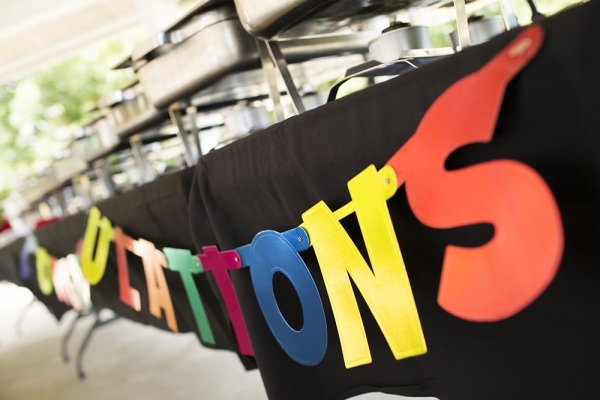 We can set up your grad’s BBQ buffet-style inside or outside; just let us know where to put it! This is a great option for those wanting to host an outdoor party but having to locate it inside due to inclement weather. Wide Selection of Food – Famous Dave’s DMV wakes up early each morning to slow-smoke our meats and then trims them up in house! For those who aren’t too fond of meat or BBQ, we offer roasted chicken and a slew of homemade sides! If your guests are vegetarian or choose not to eat meat, we offer veggie burgers and salmon. Your grad will love the menu and so will each of your guests! 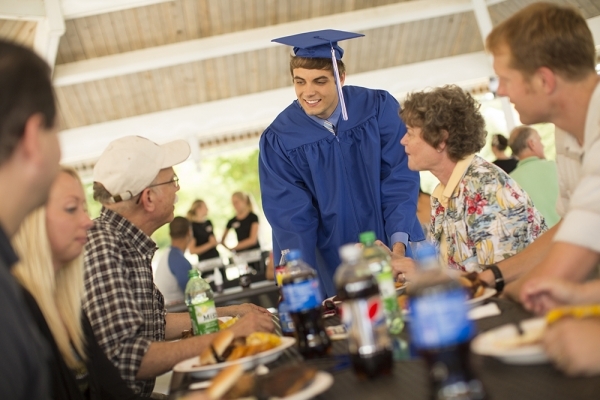 Service Options – We know that each grad party isn’t one-size-fits-all, so we want to ensure that you have options when it comes to serving our delicious graduation party food! You can pick up the food yourself the day of the party, have us drop it off, or let us set up your buffet and serve your guests full-service style! 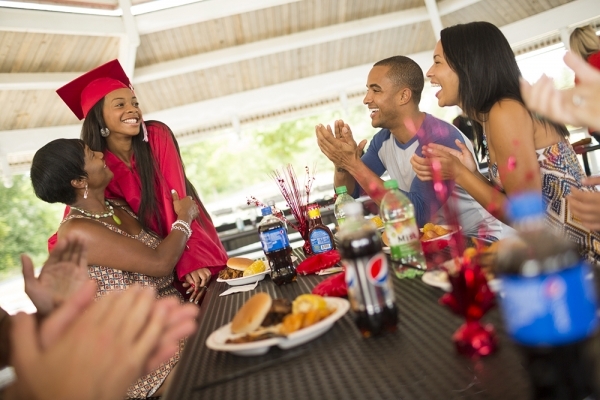 You’re proud of your grad and know that they deserve the best when it comes to their graduation; why not throw them a party that’s equally as great? 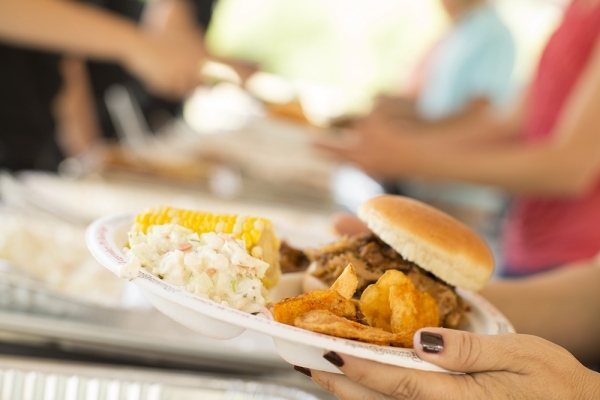 Our BBQ catering options are perfect for grad parties of all sizes! For more information on our graduation catering in the DMV area, call our Catering Hotline at (855) 783-8646 or Request a Quote today!